Get to know the key differences between the claw, ball peen, and club hammer styles so that you can choose the right hand tool for every project. 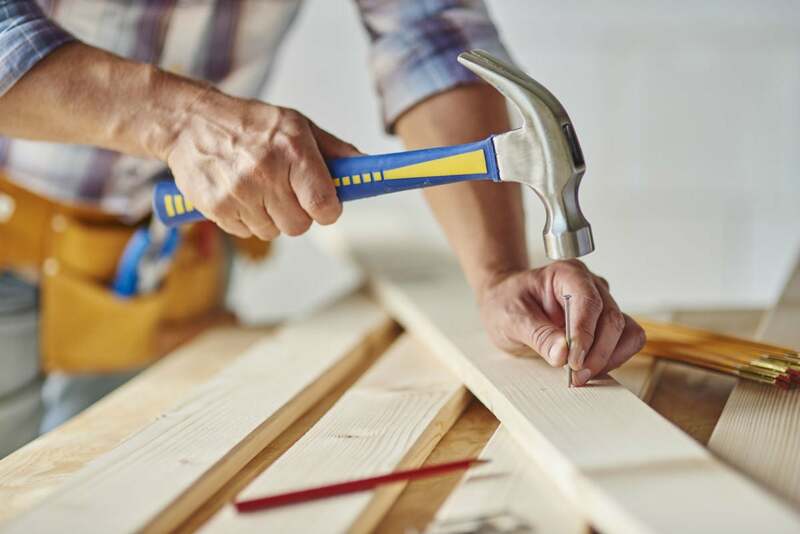 Every household needs at least one hammer on hand for everyday repairs and installations, whether that’s tacking a picture onto the wall or re-nailing a floorboard or piece of molding. For most DIYers and homeowners doing the odd job around the house, that’s a claw hammer weighing between 16 and 20 ounces. Ahead, we’ll look further into why a claw hammer is the most common hammer to stock as well as what each type of hammer is designed to do best. 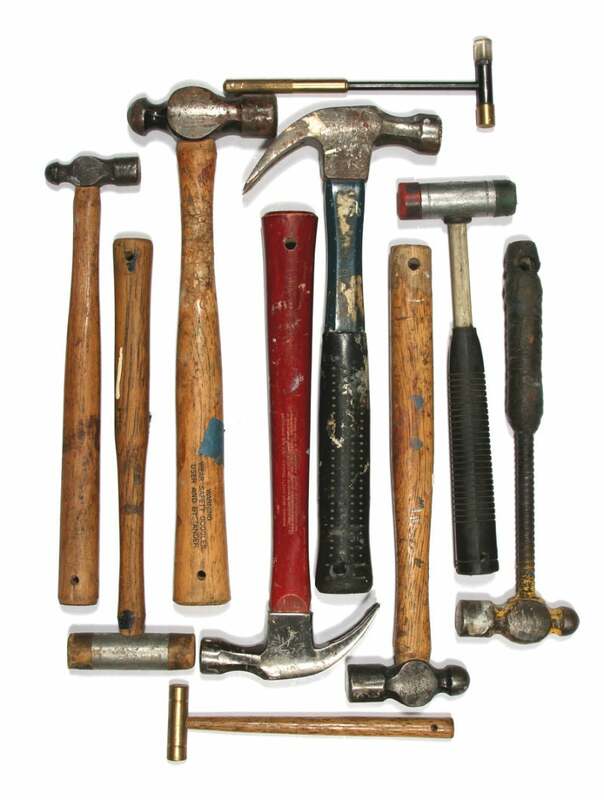 Shopping Tip: All types of hammers come in a series of sizes, ranging from eight to 42 ounces. The weight referred to is that of the hammer’s head rather than the tool overall. Lighter weights are fine for simple household tasks, but a heavier weight would be needed for framing and other larger projects. Hammers that weigh considerably more than the average 20-ounce tool—we’re talking 32 ounces or more—are made for professional construction workers. 1. 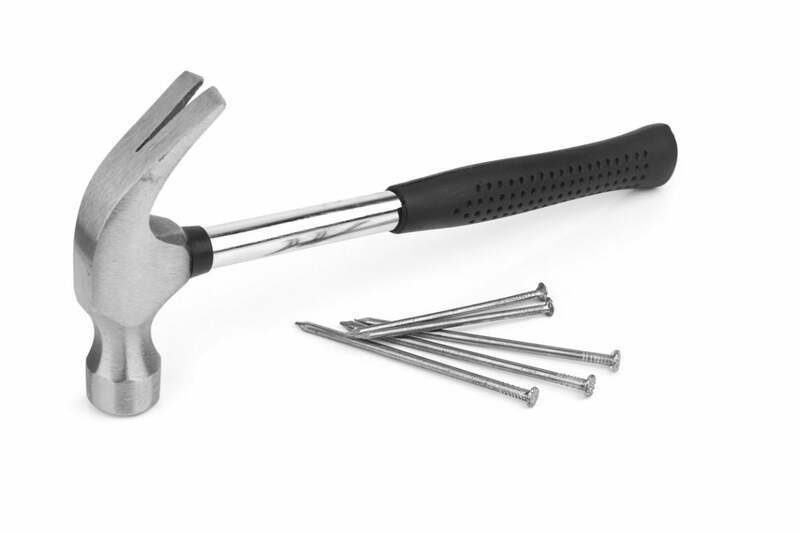 Claw hammers are commonly used for woodworking and household repairs. For most of us, this is the design we reach for when we need a ham­mer. The claw hammer’s steel head is dual-function: The face drives nails and the two-pronged claw pulls nails out of wood. The handle is made of fiberglass, wood (commonly a tough, springy hickory wood), or steel. Choose a fiberglass or steel option, and it will also have rubber, plastic, or vinyl handle for comfort and shock absorption. Smaller hammers usually have claws with sharper curves. Larger hammers often have a flattened claw, and sometimes are referred to as wrecking or rip hammers because the claw can be used to pry apart wooden elements in demolition work. When selecting a hammer, consider the face, too. A patterned face (also called a mill face) will help prevent glancing blows, because the serrations grip the head of the nail. This is especially handy when doing work that involves forceful hammering, like framing and toe-nailing. A smooth, slightly convex (belled) face is preferable for finish work. In claw hammers, flat faces are usually an indication of second-rate goods. Pulling a nail puts tremendous wrenching stresses on a hammer. If you favor a wood-handled hammer (and many of us do), use it sparingly for pulling nails. 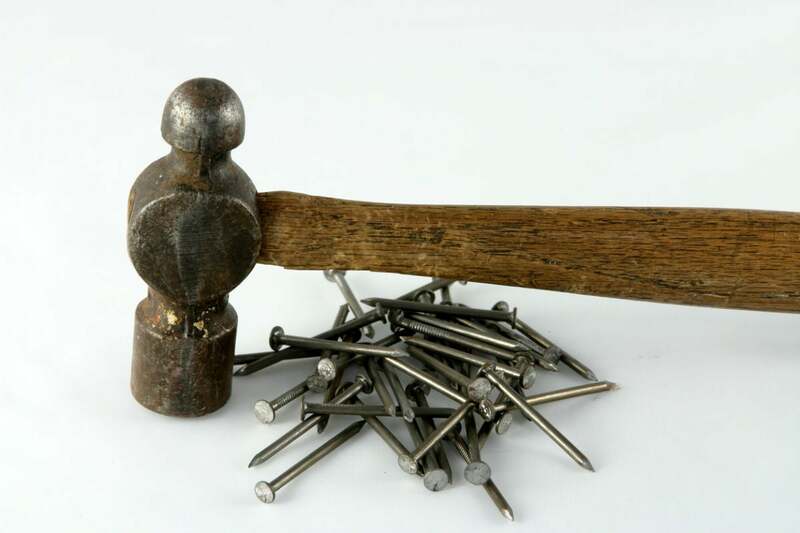 Keep a pair of nail pullers or a wrecking bar handy in your tool bag for pulling all nails larger than eight pennies (two-and-a-half-inch-long nails). 2. Ball peen hammers are designed for metalwork. 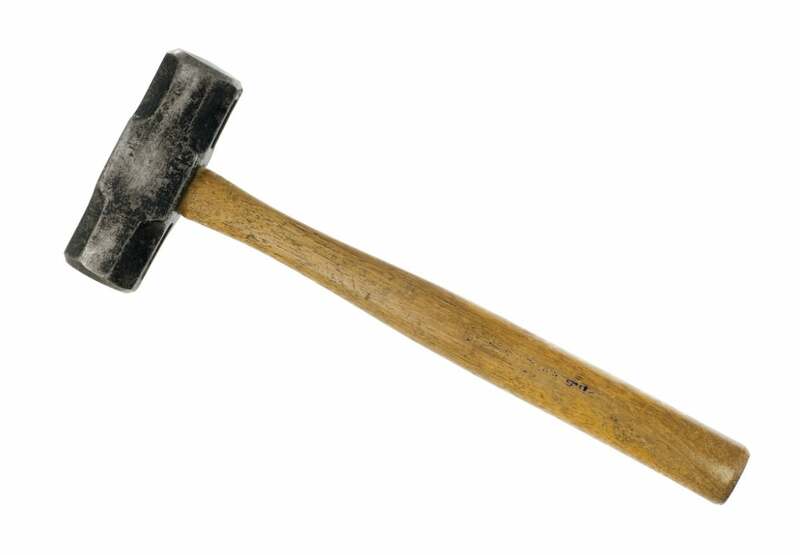 Sometimes called an engineer’s hammer, the ball peen hammer is used for many metalwork tasks. Rather than having a claw, the ball peen hammer has a flat striking surface on one face and a rounded one on the other. The steel ball peen head is hardened and is less likely than a claw hammer’s to chip, making it better suited to drive punches and cold chisels, set rivets, and shape metal. Unlike claw hammers, which come with a variety of handles, these are usually made of hickory. Common head weights for ball peen hammers are four, eight, 12, and up to 32 ounces. When driving a cold chisel or punch, a ball peen hammer with enough weight to drive the tool is required. On the other hand, though this may seem contradictory at first, when shaping metal it is important to use a hammer that doesn’t weigh too much. A hammer that is too large will scar or distort the material (especially brass), while a smaller one will tend to shape it more efficiently. The ball peen hammer is not essential for the woodworker’s toolbox. But when it comes to driving cold chisels, the claw hammer isn’t the right tool, so having a ball peen hammer or a club hammer (see below) is a good idea. The ball peen can also be used for driving heavy nails and other tasks where its weight and hardness is an asset. 3. Club Hammers are essentially small sledgehammers for driving chisels or stakes. Most club hammers have two identical faces and a short handle (typically 10 inches long). Both faces can be used, though the primary reason for the second face is that the ham­mer would be awkward to use if the head were not evenly balanced. Wooden handles are typically made of hickory, though fiberglass-handled club hammers are available. The club hammer is light enough that it can be managed comfortably with one hand. A club hammer with a two-and-a-half-pound head is a useful size, though three- and five-pound models are also common. Like its bigger brethren, the sledgehammers, the club hammer is used to drive stakes or cold chisels and to demolish masonry. They are sometimes called hand-drilling hammers because they are often used to drive masonry drills. In using this tool, let the weight of the club hammer’s head do as much of the work as possible. For light blows, the weight alone will provide sufficient force; merely allow the head to drop on the object being hammered. For more force, swing the tool as you would other hammers, again with a firm but not rigid grip. This is especially important when using the club hammer for demolition, as the shock of striking a masonry wall, for example, will carry through to your arm if you hold the hammer too tightly, putting you at risk of wrist, elbow, or even shoulder soreness. Always wear safety goggles when putting the club hammer to use: Stone, masonry, or other bits of debris can easily become airborne and present a grave danger to your eyes.